Galaxy S7 Flat/Edge: How do I take Spotlight Selfie? You can apply the spotlight effect before taking self-portraits. 1. On the preview screen, tap the icon to switch to the front camera for self-portraits. 2. Tap beauty effects icon. 4. 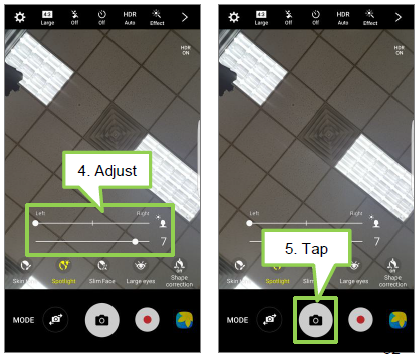 Adjust the brightness and location of the spotlight. 5. 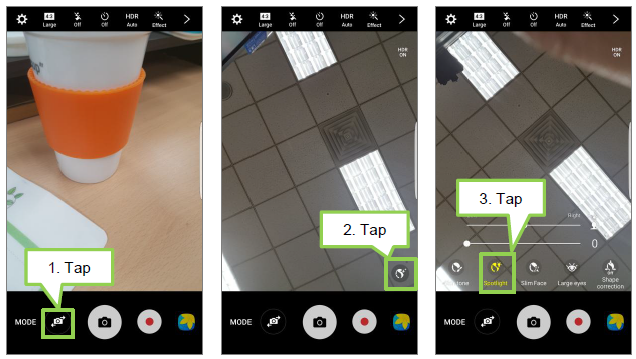 Tap Camera icon to take a picture.